Happy New Year! FINALLY FINALLY the November challenge review. Chris also takes a quick look back over the last year and he talks to his guest Ibarionex Perello about the visual workflow. The post 851 Visual Workflow appeared first on PHOTOGRAPHY TIPS FROM THE TOP FLOOR. Chris received follow-up on the the ethical exif debate, this time about the practice of owl baiting. Joe wonders if he can use his LR hard drive with both a Mac and a PC (the answer is “theoretically yes”) and listener Chris wants to buy a drone and wonders if he’ll be allowed to fly it in the UK. SPONSOR: Nations Photo Lab – use code topfloor for your FREE Buzz Book. The post 844 Owl Baiting appeared first on PHOTOGRAPHY TIPS FROM THE TOP FLOOR. When it comes to Lightroom, there is a lot to learn, and we tend to pay the most attention to the big things like understanding how to organize images and which sliders to use to improve our photos. But there are also lots of little Lightroom tricks that will improve your workflow and just make your life easier when it comes to working with your photos. In this video, I’ll show you 10 of my favorite tricks that will make your life easier in Lightroom. There is also a summary of these items below the video for your reference. Enjoy! Have you ever noticed that when you view images full size in the Library Module and you move from one to the next, sometimes Lightroom shows a message that says “Loading…” and it takes a minute for the photo to display properly? You can get around that by building previews before you start working on a group of images. To do this, choose Library > Previews > Build Standard-Sized Previews. I generally build standard-sized previews which are just big enough to fit in the Lightroom window. You can also build the 1:1 Previews which means you can view each image zoomed-in at 100% without having to wait, but that takes longer. Building the previews first does take a bit of time, but you can do something else while Lightroom is busy with this task. Then when you are ready to work on your images, Lightroom will be really fast. When selecting your Picks or adding a star rating to images in the Library Module, you can have Lightroom automatically move to the next image, making it very quick to go through a selection of photos. To turn this setting on choose Photo > Auto Advance. In the Develop Module, there are a number of panels which, when expanded, can make it necessary to do a lot of scrolling to move between them. But with “solo mode”, only one panel can be opened at a time which means no more scrolling. To turn this on, right-click to the left of one of the develop module panel titles (such as “basic”) and choose Solo Mode. When you make a change to a slider in the Develop Module, and you simply want to reset it back to zero, you don’t have to actually move the slider back. Simply double-click on the name of the slider and it will reset. Did you know there are quite a few different crop overlays you can use to help you crop your photos just right? Click the crop tool in the Develop Module, and then try repeatedly pressing the letter O on your keyboard to rotate through the various crop overlays. When you think you are done and you want to view a larger size of your image to make sure everything is just right, press the letter F on your keyboard to view the image full screen. Press F again to go back. Another way to view your image without distractions is to use the L key on your keyboard. Press it once and all the sidebars and your desktop will turn grey. Press it again and everything goes black except your actual photos (this is called Lights Out). Press it a third time to return to normal. As a final check when you think you are done with your processing, press the backslash key on your keyboard to see the “before” version of your image before you made any changes in Lightroom. Press it again to see the “after” version. If you want to make another version of an image without changing the original, you don’t have to actually make a copy of it on your hard drive. You can simply create a “virtual copy” and apply different settings to it. This virtual copy takes up no space on your hard drive and allows you to play with different looks. After you have finished processing one photo in a group, you can apply those exact settings to all the other photos in the group. This makes it very fast to process a whole group of images. Go to the Library Module, select all the photos you want to apply the settings to, including the one you have processed, and click the “Sync Settings” button in the lower right corner of your screen. You can then choose whether to sync all or just some of the settings to the selected photos. Lightroom can be overwhelming! If you want to learn the essentials of Lightroom so you can get started quickly and easily, check out my video course Launch Into Lightroom. In 22 short videos that total a little over 2 hours, you’ll be off and running. The post 10 Lightroom Tricks That Will Make Your Life Easier appeared first on Digital Photography School. Here’s the GEAR SHOW! Chris answers audience questions. Wayne wonders if Luminar could easily replace Adobe Lightroom. Derrin wants to know if he should be worried about 30 dead pixels on his new camera’s sensor. Also, Fred prompts Chris to discuss how Sony A7 Mk III, Canon 5D Mk IV and Nikon D850 stack up against each other. Also, Chris talks about his personal favorite or most noteworthy smaller photo gadgets from 2017. The post 804 GEAR GEAR GEAR appeared first on PHOTOGRAPHY TIPS FROM THE TOP FLOOR. Find out the truth about the top floor and nothing but the truth. Marcalia has a question about synchronizing LR catalog & settings between two computers and Robert wonders about what Magenta really is.. because unlike any other color, Magenta is not part of the rainbow. The post 797 An Imaginary Color appeared first on PHOTOGRAPHY TIPS FROM THE TOP FLOOR. Processing photos is fun for me. But as much as I like doing it, I like being out in the field making new photos even more. That’s why I’ve developed a Lightroom workflow that helps me get the job done as quickly as possible. Following these steps, you’ll learn how to make adjustments to a whole batch of images and then apply image specific adjustments to bring out the best in each frame. Before you begin, choose a batch of photos taken at the same time under similar lighting conditions. I usually go through and pick my favorite photos from a shoot first, and then work on those. In the Develop Module, pick the first photo in your batch and make the following adjustments to make it look its best. Remember there are no rules with the sliders other than a little goes a long way. Just go with your gut. And if you’re not sure what a slider does, just take it to one extreme and then the other and you’ll be able to see exactly what is going to happen. You’ll find this at the bottom of the develop module on the right-hand panel. I like to set this first because it makes such a dramatic difference to the color and contrast in an image. Simply go through the drop down box and pick the one that looks the best. Next go up to the top of the develop module and start working your way down. The first slider is white balance and there you can choose from the items in the drop down box. Again, simply choose the one that looks best. Try darkening the highlights by moving the slider to the left and lightening the shadows by moving the slider to the right. You don’t want to go so far that you’ve removed all contrast from the scene, just enough that you have more detail in the highlight and shadow areas. The clarity slider will add contrast to the edges of things making them appear more crisp. Try nudging it a bit to the right. On the other hand, if you want your image to be softer and dreamier, you can move the clarity slider to the left. The vibrance slider is more subtle than saturation since it adds color to the parts of your image that are already less saturated. Most photos need a little sharpening. In the Detail Panel, try moving the sharpening slider a bit to the right. In the Effects Panel, add a slight post-crop vignette to draw the eye into the frame by dragging the slider slightly to the left. Before any adjustments in Lightroom. After the basic adjustments have been applied in Lightroom. In the Develop Module, select all the photos in your batch (including the one you just edited) from the filmstrip at the bottom of the screen. Then click the Sync button at the bottom of the develop panel. Voila! All the adjustments you made to your first image have now been applied to the whole group. The following adjustments need to be made to each photo individually since they are rarely the same in a batch. If necessary, use the crop tool to adjust the crop. Maintain the aspect ratio of your image by holding down the shift key on your keyboard while you crop. You can also use the angle tool located inside the crop tool to make sure any horizon or shore lines are straight by drawing a line from one side to the other. Using the spot removal tool, check the box next to “Visualize Spots” below the image to help you see the dust spots more easily. Use the radial filter tool to increase the exposure very slightly on your main subject which will help to draw the viewer’s eye to it. Remember to click the “invert mask” checkbox to affect the area inside the circle. Otherwise, the default is to affect the area outside the circle you draw. I find that processing photos is more fun when it doesn’t take forever! Now with time saved doing basic processing, you may choose to take your photo into another photo editor to add special effects. Or you can just call it done and get back out in the field doing what you love: making photographs. Want more? Try Anne’s Lightroom video course: Launch Into Lightroom to learn everything you need to know to get started in just a couple of hours. The post How to Speed Up Your Photo Editing with the Right Lightroom Workflow by Anne McKinnell appeared first on Digital Photography School. Francois wonders about how Lightroom presets make sense and Chris has a deeper look at how he uses them. Dave has a few questions about the photos that are up on the Viewfinder Villa walls.. so Chris takes you on a little tour of the house. The post 789 Photos on the Villa Walls appeared first on PHOTOGRAPHY TIPS FROM THE TOP FLOOR. 783 Why are Lenses Round? On this quick-fire question and answer episode, Andy wonders why lenses are round and Chris talks about how lenses are made and how the round shape makes most sense. John has a LR workflow question and Mark is curious about digital medium format. Chris goes into detail on why medium format isn’t clearly defined and on the differences between film medium format and digital medium format. The post 783 Why are Lenses Round? appeared first on PHOTOGRAPHY TIPS FROM THE TOP FLOOR. John Michael wonders how to speed up his Lightroom and Chris goes into the intricacies of setting up and using different preview sizes, smart previews and how the right setup can make Lightroom much faster. Chris also answers the question on why he upgraded to the 7D Mark II – the answer might be surprising. Sean wonders if he should get a regular ND filter or a variable one and Chris explains the differences and why one is probably better than the other. The post 768 Lightroom Speed Boost appeared first on PHOTOGRAPHY TIPS FROM THE TOP FLOOR. 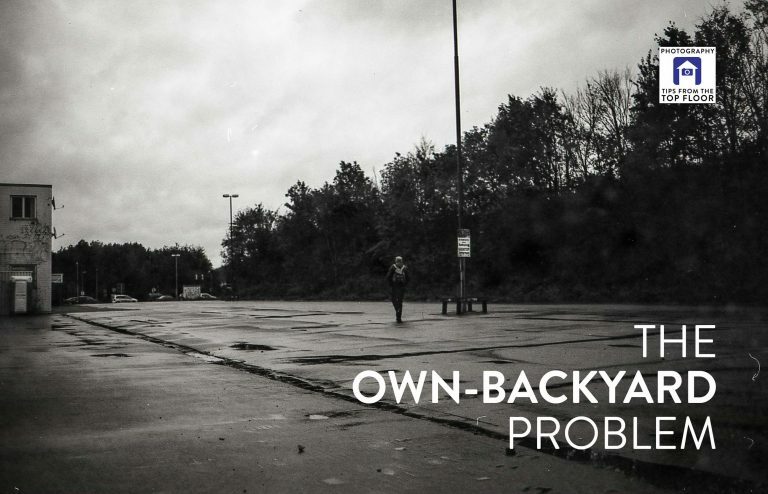 Chris discusses the own-backyard-syndrome – is the grass on the other side really greener? Jim tries to find a good way to switch from Apple Photos to Adobe Lightroom and we take a closer look at Getty Images who lately seem to have gotten into a little bit of trouble. The post tfttf740 – The Own-Backyard-Problem appeared first on PHOTOGRAPHY TIPS FROM THE TOP FLOOR.